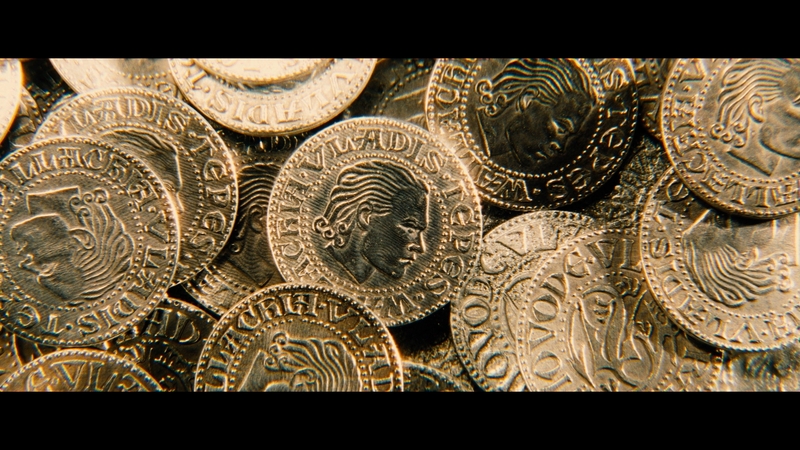 An Easter Feast coin from the production of Gary Shore’s 2014 action horror Dracula Untold. 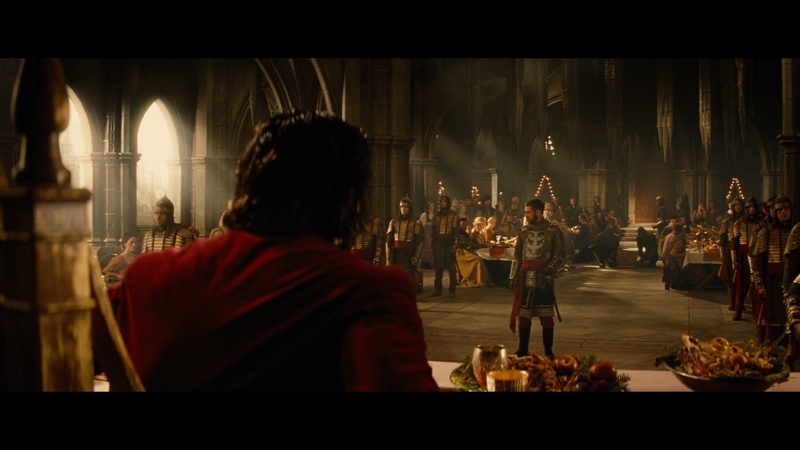 An origin story of Vlad ‘The Impaler’ Tepes’ transformation into the fearsome monster Dracula, the film explores how Tepes (Luke Evans) was forced into going to war with the Sultan of the Ottoman Empire – and the deadly pact he made with the vampire of Broken Tooth Mountain (Charles Dance) to ensure his victory. Coins like this were seen close-up in the Easter feast scene where the Sultan’s men demanded 1,000 boys for his army in addition to Vlad’s tribute of silver coins. These are part of multiple numbers created for the production. 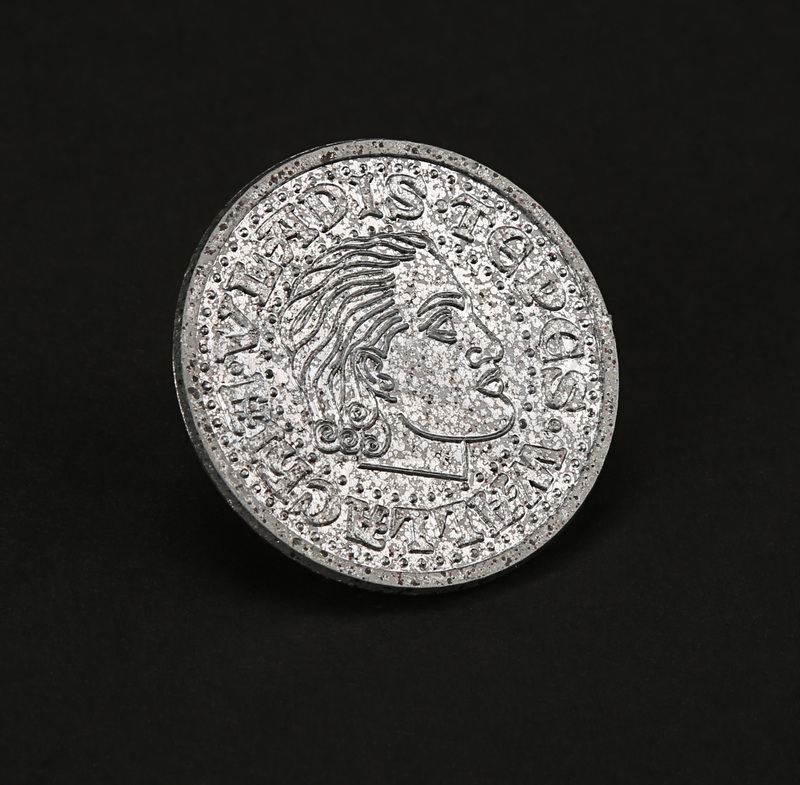 Made from plastic, the coin has been painted to resemble silver metal. 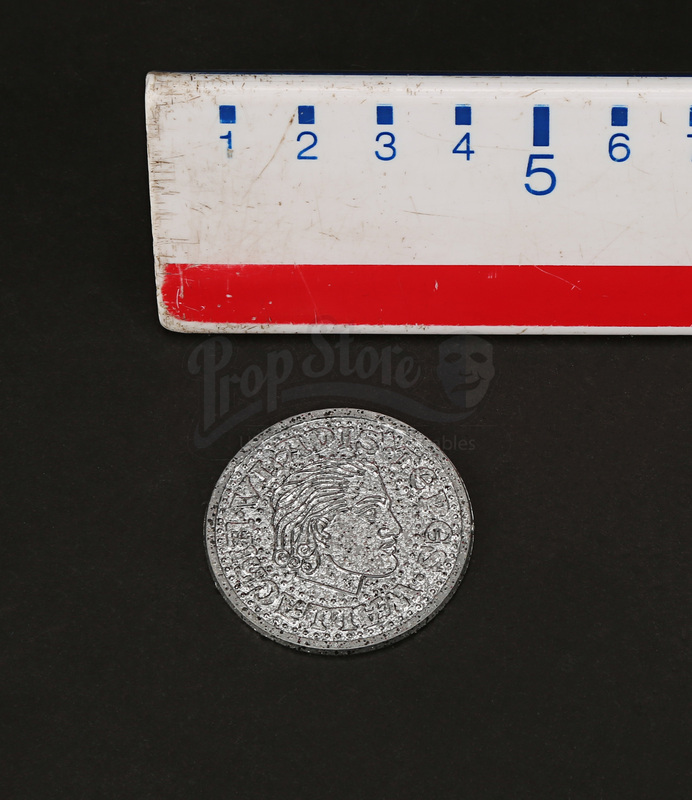 On one side it is stamped with Vlad’s head and the words ‘Vladis Tepes Wallachia.’ The other side features a circular dragon emblem and the words ‘Viovode Vlad Dracul’. 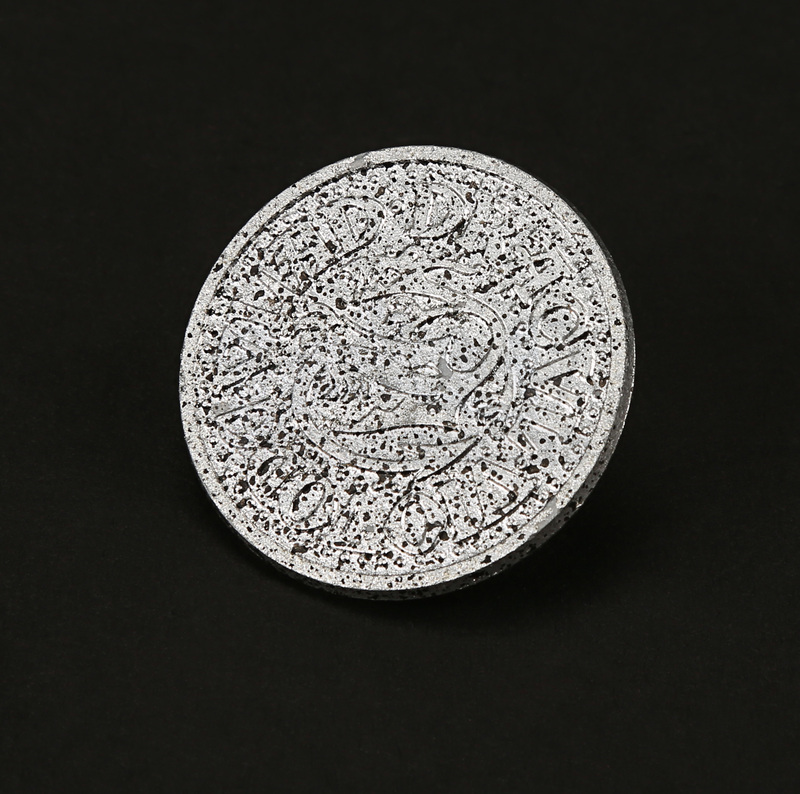 The coin has been distressed for production but remains in otherwise good overall condition.